New Delhi (Sputnik) — US President Donald Trump's decision to increase duties on imports has sent ripples througout the world economy. While the European Union is preparing its own strategy to counter the US measure, China has asked India to join hands to collectively tackle US protectionism. India has already hiked duties on 29 American imports including almonds, nuts, apples and other farm products in retaliation to Trump's March order that has cost India's steel and aluminum sector around $241 million. NR Bhanumurthy, a professor at the National Institute of Public Finance and Policy in New Delhi, who significantly contributes to policy reforms at all levels of the Indian government, spoke exclusively with Sputnik and suggested a roadmap that could be adopted by several developing countries who have been struggling against the US tariff hike. Sputnik: Earlier it was expected that India would not retaliate against US tariff measures immediately. But now, India is retaliating in every way possible against the Trump administration's actions. Will India's actions invite harsh measures from the US? NR Bhanumurthy: This was expected when most of the advanced countries (including the EU) started putting restrictions on imports. The crux of the problem is the domestic pressures on creating additional employment. We all know what made President Trump win — it is his proposals to stop exporting jobs to countries like China and India. There were also imbalances on the balance of payments, which was in favor of emerging market economies. In India also, as there are a lot of discussions about the extent of jobs created in the NDA-II regime, and the indications (other than EPFO) are not so satisfactory, the government had to retaliate with tariff hikes, especially during the election year. How does the US react? My guess is that President Trump's administration may understand PM Modi's compulsions and will not react very aggressively. Otherwise, it could have a larger impact on the overall expansion of the economy in both countries, but of course more on India. 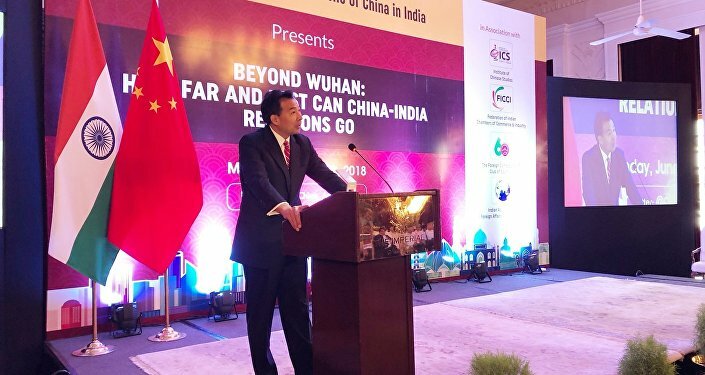 Sputnik: The Chinese envoy to India recently said that New Delhi and Beijing, as major emerging market economies, are faced with the pressure of established powers. We should coordinate our positions and also explore ways to be with each other. What would you say on this proposal? NR Bhanumurthy: This is absolutely true and I am sure Russia also supports both countries on this. One can also read something in PM Modi's recent so-called informal visits to China and Russia. 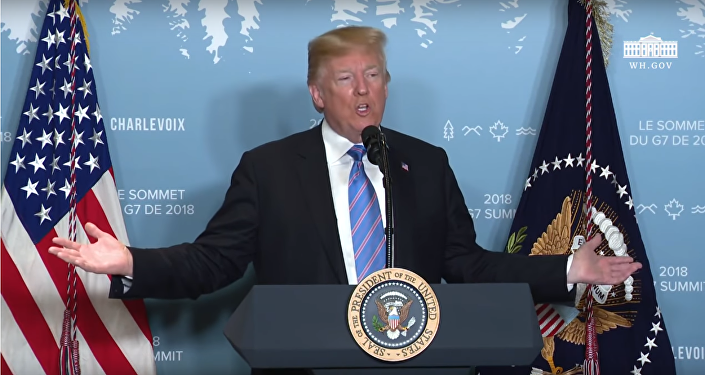 The recent developments during the G-7 meeting in Canada also suggest that the US appears to be getting isolated and in that case, the trilateral [situation] between RIC [Russia, India and China] could be a win-win situation for not only these three countries but also other BRIC countries that are struggling with US tariff hikes. Sputnik: Yesterday again, Donald Trump reiterated that countries should lower tariffs on US products. It seems Trump is not going to stop here and is likely to announce some more measures ahead of the US presidential election. Should India prepare for the worst? NR Bhanumurthy: This is more of a political economy question, not just for the US but also for other trading partners. Although I do not wish, it seems that we are witnessing large-scale reverse globalization. As we have seen in the past that globalization has led to the gains to all the countries, during the reversal we might have to face exactly the opposite of this. One should not be surprised that the current president in the US is clearly looking for large-scale protectionism especially during the run-up to the next elections. Countries like India need to be watchful and prepare for such measures. We need to revive the regional trade agreements that have been neglected for some time. Sputnik: What kind of impact do you see on Indian firms dealing with the US? NR Bhanumurthy: In the context of declining trade with advanced countries, one is clear that it would have an adverse impact on growth. Trade used to contribute nearly 20-25 percent of GDP especially during the high growth period in the mid-2000s. The Indian firms depending heavily on exports and imports would be affected adversely. The service sector, especially the IT sector, would take a big hit. We have seen how some of the software giants promised the US that they would recruit locally for their global operations. All these will have an impact on employment [and on the] profitability of companies that are a part of global chains. But most importantly, as trade is expected to improve productivity and welfare, any decline in trade would have an adverse impact on both of these. The views and opinions expressed by professor N R Bhanumurthy in this article are those of the speaker and do not necessarily reflect the position of Sputnik.